In 1933, on the Japanese island of Izu Oshima, a twenty-one-year-old student named Kiyoko Matsumoto jumped into the volcano of Mount Mihara from an observation point overlooking the molten lava. Her death became a media sensation across Japan as newspapers reprinted her poignant suicide note and turned her into an overnight celebrity. Nine hundred forty-four people subsequently jumped into the volcano’s crater in 1933 alone. In the years that followed, thousands more made the one-way trip to the volcano, including, every year, dozens of suicide-pact couples who plunged into the lava together. The Tokyo Bay Steamship Company set up a daily line to the island’s volcano rim, which became known as “Suicide Point,” to ferry victims and spectators: Some passengers bought one-way tickets to the destination, while others traveled there round-trip to watch people jump. This suicide epidemic ended only after officials made it a criminal offense to purchase a one-way ticket to the island and placed a barrier at the observation point. From a powerful essay on assisted suicide and euthanasia by Aaron Kheriaty. The point is that ideas are contagious, and that bad ones often spread faster than good ones, until they are stopped. The recent Irish Times finding that 54% of adults agree there are circumstances where they would help a family member to die reveals the extent of one particularly bad idea. Though younger adults are much more in favour than older adults for some reason. Xavier le Pichon - who knows something about volcanos as he developed the theory of tectonic plates - has a different take: he thinks we need to welcome suffering as a sign of our humanity, and to see human fragility - like nature's - as something positive. I am a business man, author, part-time economist and a director of a market research agency in Ireland (Amárach Research). In writing this blog I draw on my daily experiences of working with clients and insights from new thinking wherever I find it. 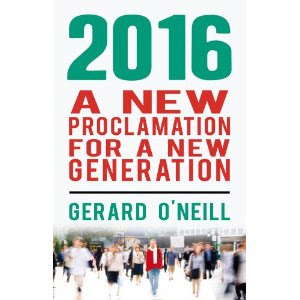 I want to provide a deeper understanding of trends in contemporary Ireland - and their future direction. Note, I am writing this in a personal capacity and my opinions are not necessarily those of Amárach Research.